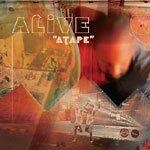 Muamin Collective producer, aLive, is obsessed with creating something original everytime he steps to his MPC. On this release, he delivers some of his signature rough and rugged production over 30 plus tracks. Out of Cleveland, he has collaborated/grown up with J-1 THE DEER, This Moment In Black History and most recently OBNOX. Not your typical hiphop producer by a long shot, he flips anything and everything under the sun into what is a perfect beat tape back to front.